So, I did a little Instagram survey yesterday and the results showed that most of you thought that mixing avocados with chocolate sounded a bit weird. 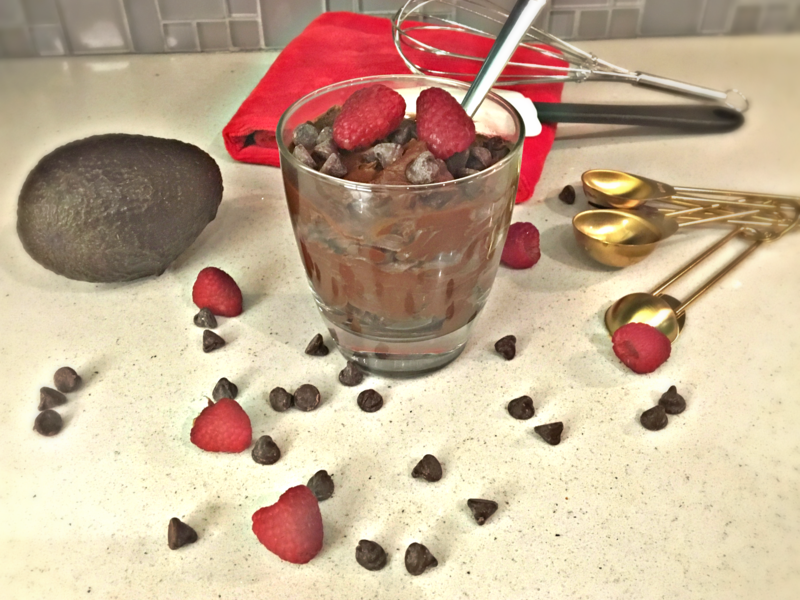 I was a little shocked at these results, since I have heard a lot about avocado puddings, mousses, brownies, and ice creams over the last few years, even though I, myself, never tried it until this past weekend. 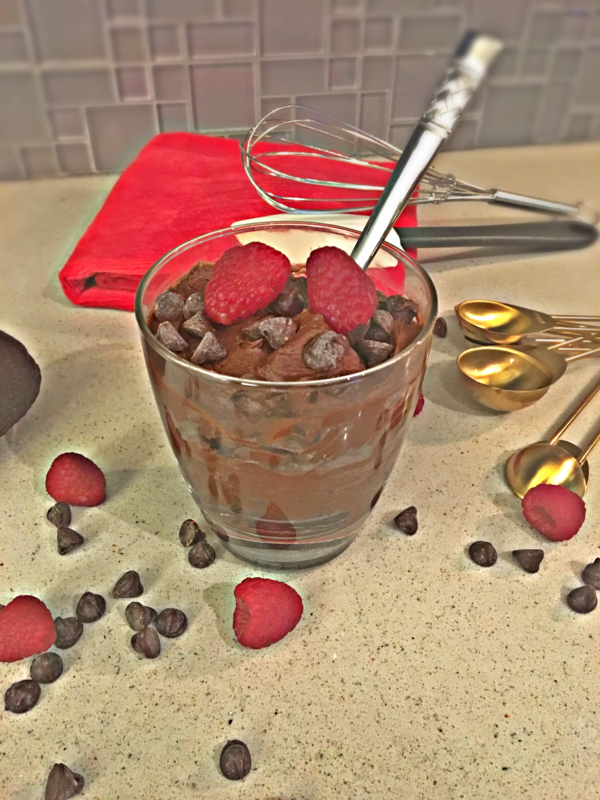 I had decided to make a decadent pudding because it just seemed like a cute recipe to make to V-Day, especially when garnished with a bit of red fruit, like raspberries. I actually intended on making a mousse, but by the time I kept adding in chocolate, it became denser like a pudding. What I liked most about this recipe is that it’s so simple and quick to make. Most of the ingredients can be found in your pantry and if you have some avocados laying around that need to be eaten up, this is the perfect recipe for you. Just throw everything in, blend, and voila – you have a pudding. Check the recipe out and if you have any feedback or suggestions, comment below! 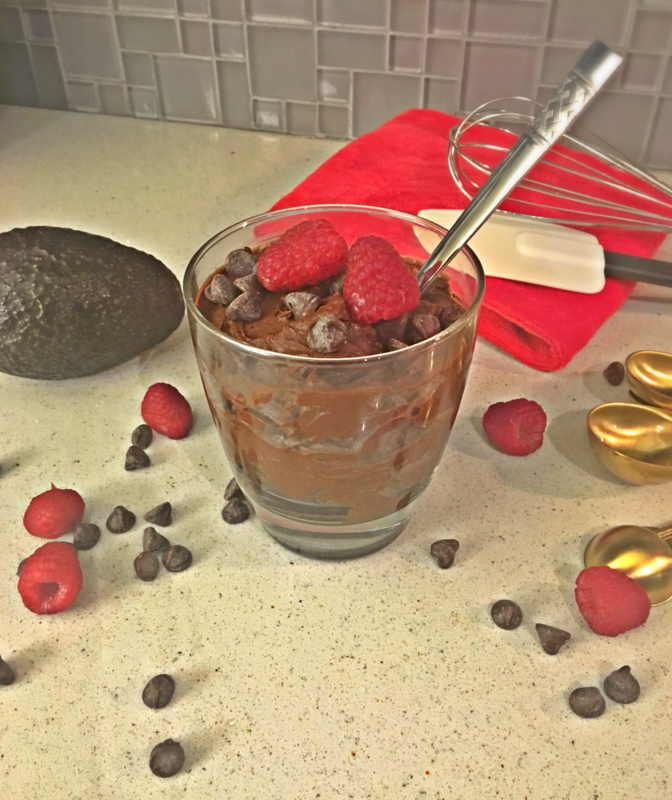 I’m curious as to what you all think after trying the avocado-chocolate combo! Simmer chocolate chips on stove or in microwave (30 seconds increments) and stir. Blend avocados, vanilla extract, sugar and salt into a processor or into a bowl if using a hand mixer. Add in melted chocolate and continue to blend until all the avocado lumps smooth out. Add the splash of milk as mixture thickens so it doesn’t turn into a thick frosting. Refrigerate for 1 hour prior to serving. Garnish with raspberries and chocolate chips.